Over the years the city of Singapore has been described by many as one of the cleanest on Earth with roads and toilets being “clean enough to eat off“, which is perhaps to be expected from a city where it’s illegal not to flush a public toilet. The reason why toilets in Singapore are so insanely clean can be traced back to the work of Lee Kuan Yew, Singapore’s first and arguably most popular prime minister. Kuan Yew rose to power in 1959 and continued to serve as Singapore’s leader for 31 years until he decided to step down in 1990. When Singapore became an independent nation in 1965, Kuan Yew is noted as being instrumental to the the small city-state being able to so quickly transform itself from being a “poor port from the bottom rungs of the third world” to being one of the most profitable and prosperous economies on the planet. Enacting legislation to make prosecuting corrupt officials easier as well as “relentlessly pursuing” corruption wherever he encountered it. Paying civil servants decent wages to ensure the jobs would be tempting to Singapore’s best and brightest and giving them bonuses based on how well the Singapore’s economy does on a yearly basis. Inviting foreign corporations to set up shop in his country to create reliable employment for his citizens and foster international relations. Establishing the Housing and Development Board to help house residents without homes into newly built apartments. Further, unlike most nation’s public housing, Singapore’s is quite nice, places people actually want to live. Drafting legislation to plant tress and clean up the cities waterways and rivers which were notably filthy. Kuan Yew was so serious about making Singapore cleaner, he famously promised that if his dream wasn’t a reality by 1986 and he was still in charge, that he’d personally hunt down whomever was responsible for the failure and shoot them. Because he wasn’t playing around. Creating the Water Planning Unit, which was tasked with helping the country become less dependent on water from Malaysia, which was threatening to cut off their water supply after Singapore gained independence. This initiative, like so many others he enacted, was a resounding success, with Time magazine later calling Singapore “the global paragon of water conservation.” In fact, their system is so efficient that they even can, and do, process non-potable waste-water into high-purity drinking water. Imposing stiff taxes on car ownership and enacting the Clean Air Act as well as creating the Anti-Pollution Unit, to help keep Singapore’s air pollution levels at an acceptable, healthy level. By far Kuan Yew’s most infamous policies though were his incredibly strict rules in regards to public cleanliness, most if not all of which carry hefty fines if you’re caught breaking them. For example, not flushing a public toilet is considered a crime in Singapore and if you’re caught flouting it, you will be given an on the spot fine of about 150 dollars, more if you’re a repeat offender. Likewise, littering carries an equally heavy fine of about 300 dollars or more, depending on the size of the item. Smaller items like candy wrappers usually incur a lesser fine, whilst things like soda cans can net you a trip to court and even a caning if you’re caught. Kuan Yew’s biggest bugbear, however, was chewing gum; he hated it with such a passion that since the 1990s, gum has been outright banned in the country. This was later (partially) repealed in 2004 and gum is now okay to be brought into the country in small quantities and dentists are allowed to prescribe it for certain medical conditions. While this may seem a tad extreme, Kuan Yew’s annoyance with gum chewing wasn’t without precedent. You see, prior to the ban in 1992, the government was spending upwards of 150,000 dollars a year to clean it up and vandals were using it to disrupt the sensors on the country’s newly built subway trains, stopping their doors from shutting and in the process causing huge delays. After the ban, cases of such gum littering plummeted and the associated costs of cleaning it up dropped to negligible levels. If you’re wondering how exactly Singapore enforces these dozens of laws, it’s mostly accomplished using hundreds of undercover police officers who have the power to issue on the spot fines to anyone seen flouting them. Officers are known to check toilets after they’ve been used and even install security cameras if they receive multiple complaints on a particular toilet, to catch offenders in the act. Perhaps our favourite Singapore cleanliness fact is that many of Singapore’s elevators have “Urine Detection Devices” which will lock the doors of an elevator and summon the police to your location to arrest you if it detects that you’re relieving yourself in one. All of this may seem excessive, but the results really speak for themselves; today, Singapore is largely considered one of the world’s leading economies and the city itself is one of the most industrious, safe, clean, nicest to live and richest on Earth. 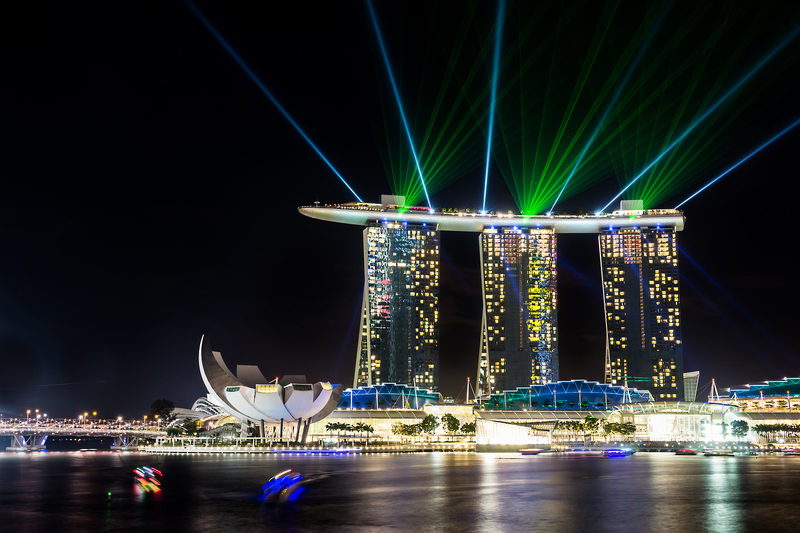 In fact, Singapore is currently enjoying 16 consecutive years on the top spot of the “world’s most livable cities“, and is also generally considered the world’s best city for businesses. Not bad for a place that was up until about 50 years ago or so described as a “swampy land mass“. There’s a charity in Singapore called the Restroom Association Singapore (RAS). Set up in 1998 by a man called Jack Sim, who later went on to found the World Toilet Organization (WTO), RAS has backed numerous campaigns to educated the public about the benefits of toilet cleanliness and even offers awards to exceptionally clean restrooms in the public and private sectors. Their stated mission is to, among other things, “investigate and find out the root cause of dirty toilets. We must identify the needs of various users including tourists and foreign workers so as to promote better designed toilets that cater to these needs. We must constantly source for the best practices in cleanliness, design and maintenance of public toilets and review our local standards. Together with the government and other strategic partners, we must continue to raise awareness among the community on public health issues and educate the users on good toilet etiquette.” Sim was reportedly inspired to start the RAS when he heard Kuan Yew’s successor, Goh Chok Tong say “we should measure our graciousness according to the cleanliness of our public toilets”. Today, Singapore’s toilet facilities are the envy of the modern world and Sim has used his clout in the world of toilets to help bring safe, clean toilet facilities to millions in the third world through the WTO. Sims has since earned the rather awesome honor of being called “a Hero of the Environment” by Time magazine. Not bad for a guy who just wants everyone to have a clean toilet to pee and poop in. 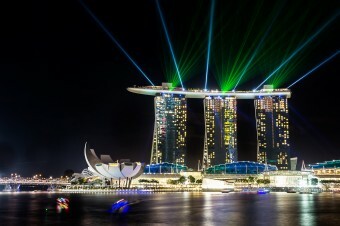 Despite being only a small city-state with a few million residents, Singapore is one of the most prosperous nations on Earth. So much so that it is often referred to as one of the “Four Asian Tigers”, a phrase used to describe the countries of Singapore, Taiwan, Hong-Kong and South Korea, all of which are noted as being economic powerhouses despite their relatively small size. Though his rule wasn’t without controversy, Lee Kuan Yew is generally regarded as being unquestionably instrumental to the country’s transformation from a small port town into the shining utopia-esque city it is today. When Kuan Yew passed away in 2015, many officials spoke of his “unwavering dedication” to making Singapore a fundamentally better place for those who lived there. As you’d expect for a world leader who served for several decades, Kuan Yew has had a number of colorful quotes attributed to him over the years including: “Even from my sick bed, even if you are going to lower me into the grave and I feel something is going wrong, I will get up.” and our personal favourite, “If you can’t think because you can’t chew, try a banana” when asked if Singapore’s stringent cleanliness laws would “stifle the people’s creativity“. To date, the highest fine given to a litter bug is 19,800 Singaporean dollars, given to a man who repeatedly threw cigarette butts out of his high-rise apartment building’s window. I was pleasantly surprised to see an article about my country. Did the recent passing of Lee Kuan Yew serve as the impetus? Anyway, something I have to point out; Lee is his surname and Kuan Yew is his given name. So the first sentence of the third paragraph, “Kuan Yew accomplished this through a series of reforms …”, should be “Lee accomplished this through a series of reforms …” Referring to him as just “Kuan Yew” would be the equivalent of being on first name basis with him. And even if you were, it still wouldn’t be appropriate in an article like this. I visited Singapore in the late 80s while I was in the US Navy. It really was one of the cleanest cities I ever visited. No US city compared, even back then. I was in Singapore mid-80’s to help install the SCADA system that monitored those elevators in public housing. I was warned that customs would confiscate any chewing gum and/or “adult” magazines should I have them while entering the country. As was pointed out to me at the time, the ability for Singapore to fund major public works – I was there pre-subway – was due to the mandated contribution of a significant portion of wages to a nationally managed pension fund. Significant, from memory, was ballpark 25 – 30% of earnings. All of this can be checked out online, and my fuzzy memory corrected, I’m certain. Even back then, between certain daylight hours, private vehicles had to pay a fee to enter the city core. What will happen to Singapore if the government decide to give away with the “fine” for dirty toilet.